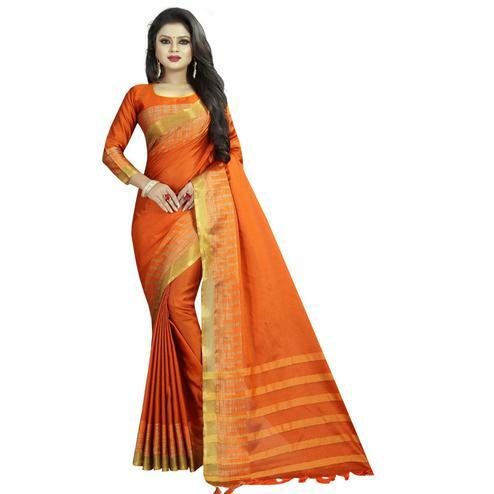 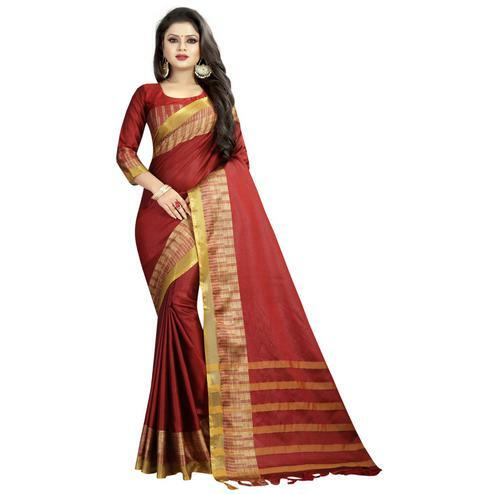 Red polyester cotton silk saree detailed with plain color at body, solid and stripes pattern weaving work at lower pallu and temple design weaving work at border. 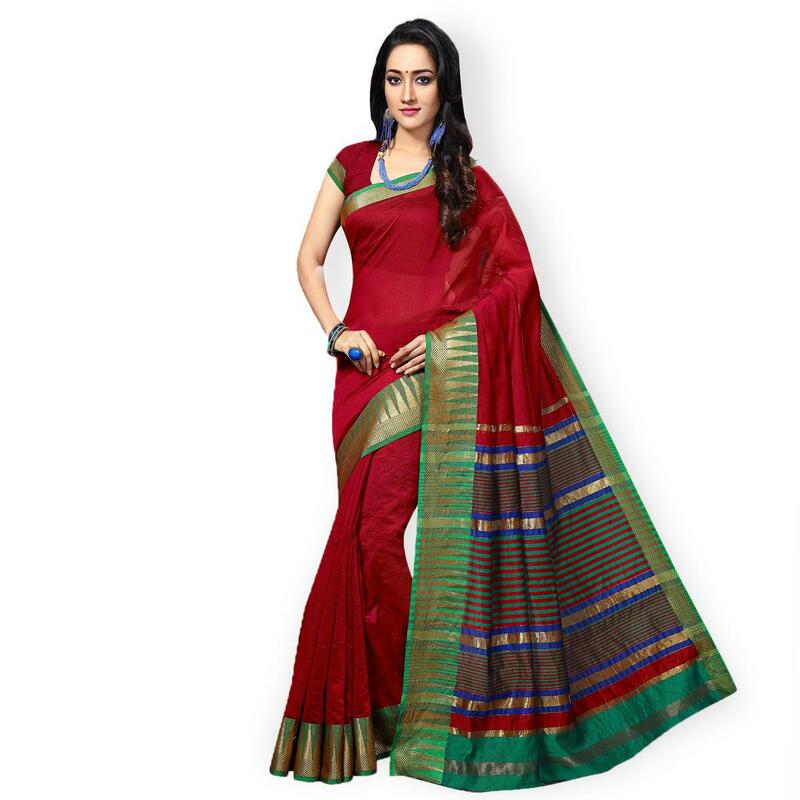 Saree paired with red blouse piece having matching lace border. 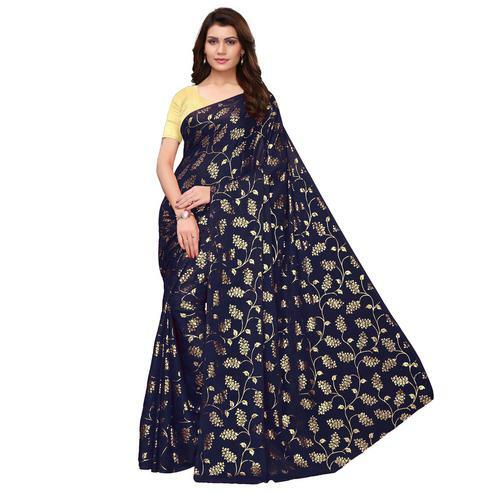 Ideal for casual events and small functions. 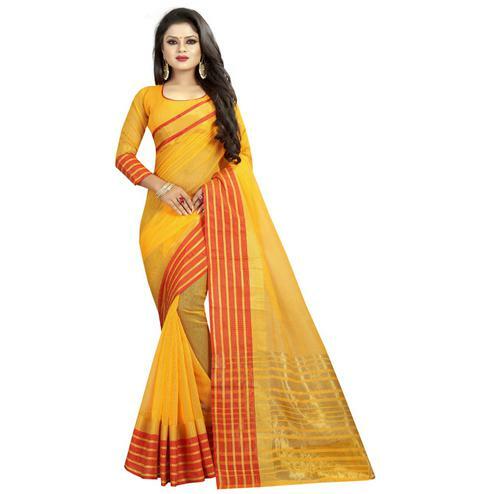 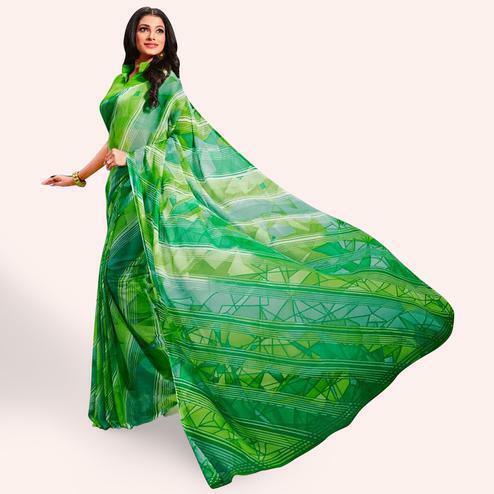 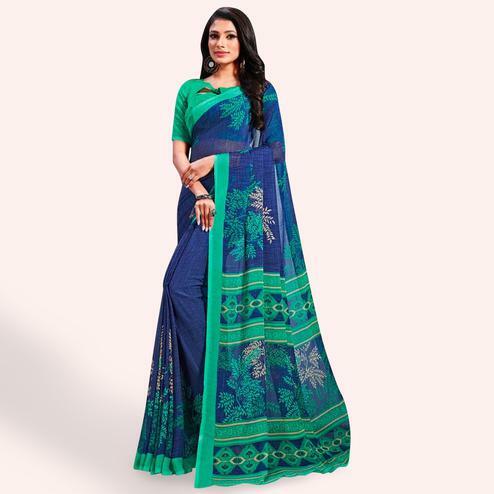 Team this saree with light ethnic accessories to make your look more beautiful.